Will ya look at that? Looks like the EURJPY had formed a pennant – like chart pattern this past week before breaking down yesterday. The pair shot down to as low as 125.70 before pulling back and looks like it’s consolidating right now. If we see a retracement, look for sellers to jump back in around 127.25, which lines up with former lows, as well as the .618 Fibonacci retracement level. However, if sellers continue their dominating ways, price may never retrace that far back as they could push price down to test for new lows around the 125.00 handle. 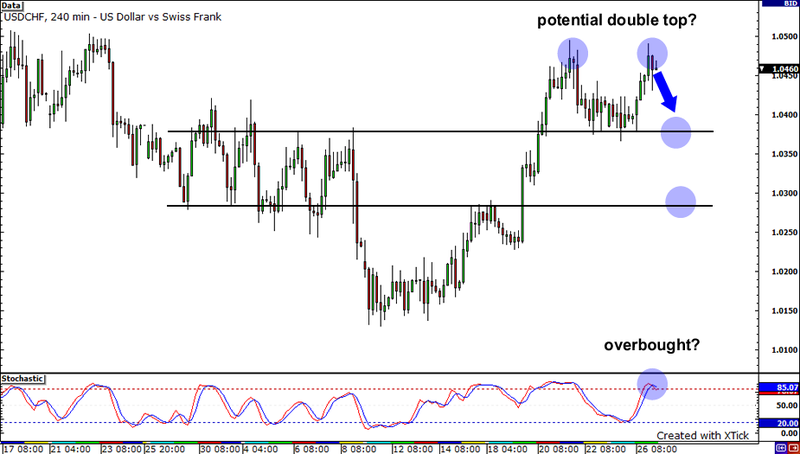 I’m going to go ahead and say it… The USDCHF looks like it’s about to form a double top. I know, I know, it’s too early to tell but this could be a nice early signal for an upcoming reversal. The pair looks like its having a hard time piercing through former highs, which coincidentally lines up nicely with 1.0500, a psychologically significant number. 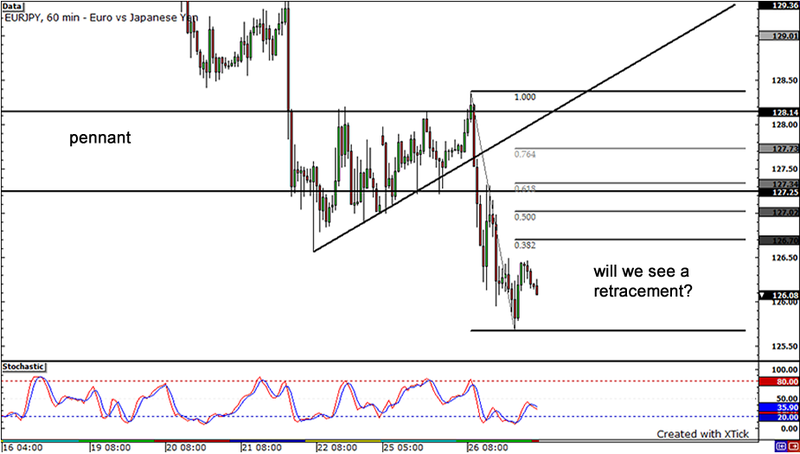 If price does fall, watch out for a move towards the neckline, somewhere around the 1.0380-1.0400 region. However, a if a 4-hour candle manages to close above the 1.0500, the pair could soar as high as 1.0600 before finding significant resistance. After yesterday’s crazy-volatile price action, it looks like the Cable is forming a 150-pip range. 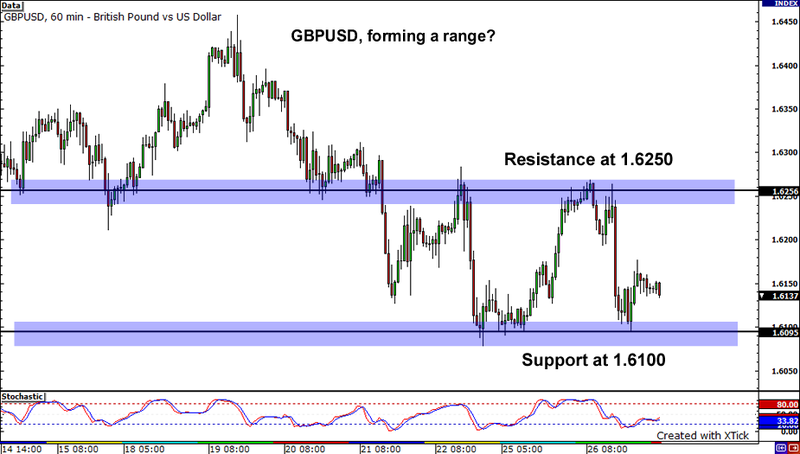 Look at how the Cable was able to find sellers at the broken-support-turned-resistance at 1.6250 and buyers at 1.6100. With that said and given the bounce from support we saw earlier today, the pair seems to be going for a retest of 1.6250 again. I’d be careful though… The overall trend is downwards and the risk of sellers jumping in earlier than expected is there.